Hearing Loops allow people who wear hearing aids to directly receive the sound from the theater's sound system in their own hearing aids, much like Wi-Fi for laptops. To hear better, you will no longer have to pick up a separate listening device. Do my hearing aids work in a loop? If you wear hearing instruments, you will need to find out if they have a wireless receiver called a T-coil or Telecoil built-in to benefit from the hearing loop in our theater. The T-coil program is accessed by pushing a button on your hearing aid. This T-coil setting has to be activated before use. Please consult your audiologist to ensure your t-coils are properly adjusted. Hearing loops improve hearing aids! Digital hearing aids have significantly improved in the last decade, but they do not restore hearing to normal. Difficulties often remain when in challenging listening situations. Hearing loops help hearing aid users overcome this problem by broadcasting sound without background noise or reverberation. For questions about your hearing aids visit your audiologist. 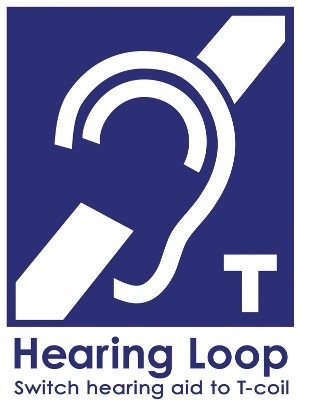 To inquire about installing a loop in other venues, contact Assist 2 Hear at 720-210-9653 or www.assist2hear.com.